Ever felt like having a sweet treat in the morning? If you are feeling extra cheeky, you can top it with some vegan cream (coconut cream is a great combination!) 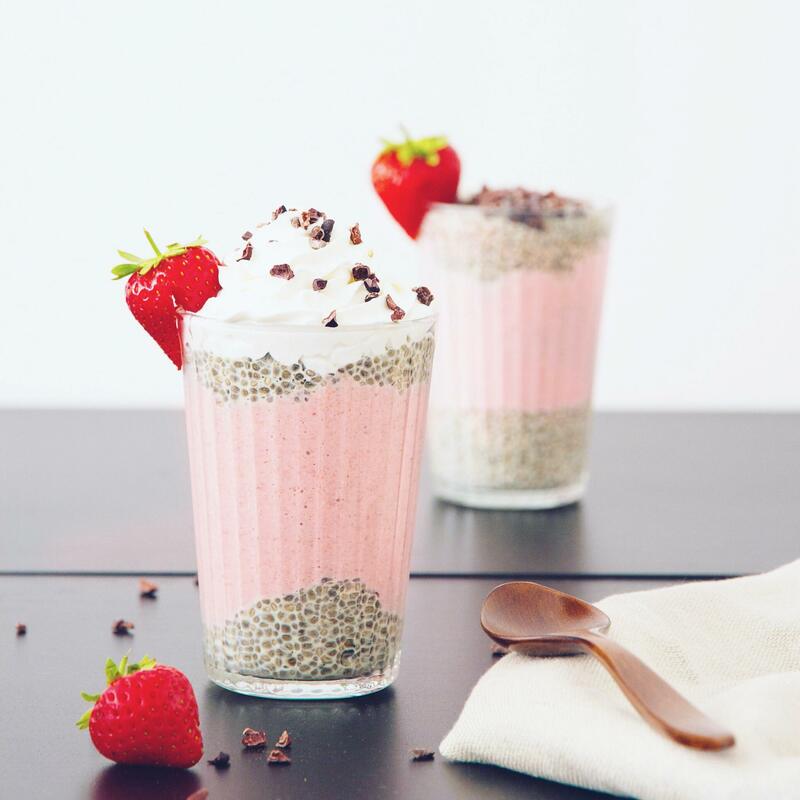 – but if you prefer the low calorie version, you can also leave the cream and top with cacao nibs, cinnamon or whatever your tastebuds crave for. 1. Blend the sweetener with the plant based milk. 2. Set the Chia seeds in a small bowl and pour the liquid over. 3. Mix everything together and check it again after 15 and 30 minutes to give it a whisk. This ensures that the Chia pudding mixes evenly and does not clump up. 1. Simply put all ingredients into a blender and blend away! Arrange the layers nicely and top with your cravings – I used cacao nibs & vegan cream (as in my image), but I am sure that cinnamon will be just as great! When used as a breakfast, the oats in the strawberry layer will thicken and ensure to fill you up and give you a nice push of energy to start the day. Also perfect to take as a breakfast-to-go in a jar!